Overview: Step into the time machine and travel back in time into Ancient Egypt to meet the wisest and most powerful Queen of all times. As you visit the ancient Egypt and admire in awe Cleopatra's stunning beauty, you may also take some of her most precious gold back home. 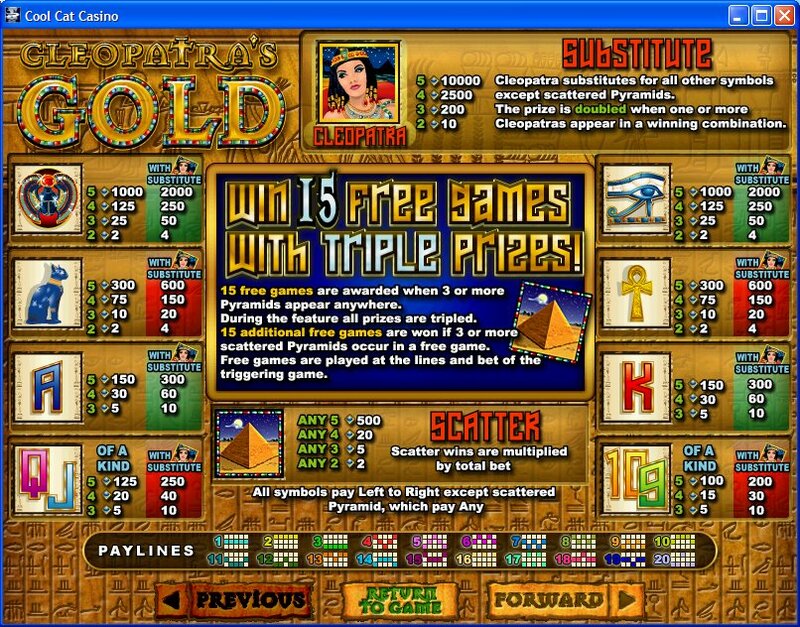 Cleopatra's Gold is a five reel slot machine that offers bulky payouts, lots of free games and a massive Progressive Jackpot. Cleopatra's Gold takes you back to the days of Ancient Egypt with Slots of vegas most popular slot game! Discover the beauty and wealth of one of the world's greatest civilizations and take some of Cleopatra's gold with you! 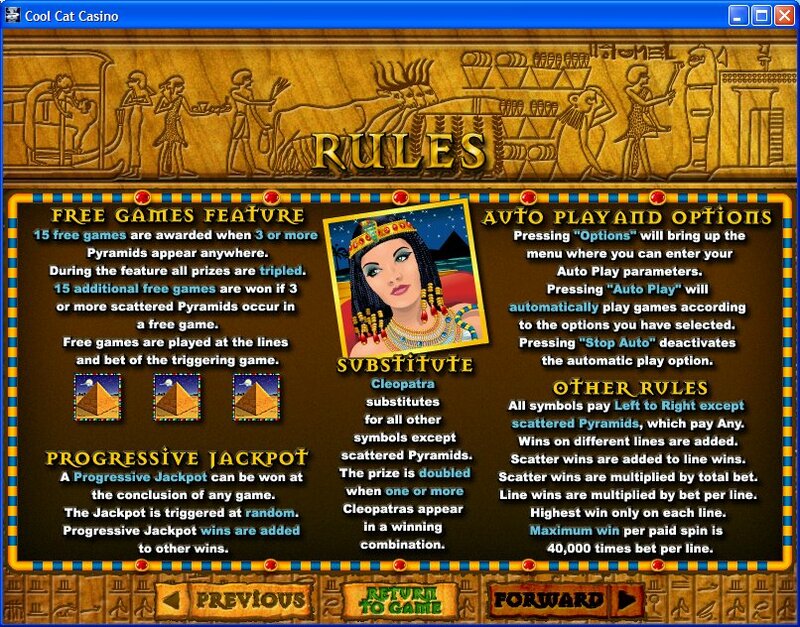 Explore the world of Cleopatra with this 20 line slot game. Players can bet as little as one cent up to as much as one hundred dollars. The wild symbol is the Cleopatra icon and the scatter is the Pyramid. To get started enter the amount you want to bet as well as the number of lines you'd like to bet on. Once you've done that all you need to do is press spin. It's that easy. 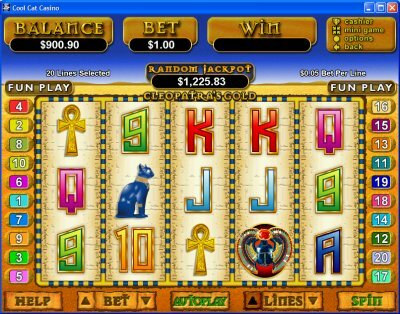 Similar Slots: If you like Cleopatra's Gold, you might like these other slot machines from RTG: Fame and Fortune, Funky Monkey, Haunted Opera, Incan Goddess, Monster Mayhem, The Naughty List.